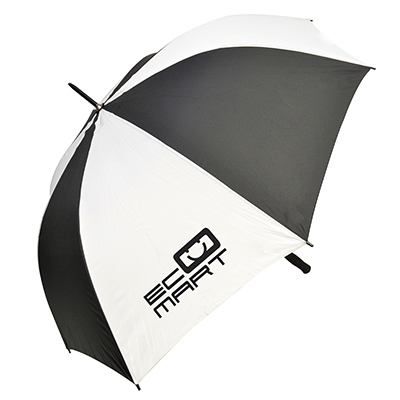 Description: 30" automatic golf umbrella with EVA foam handle. Poly-nylon material combination. 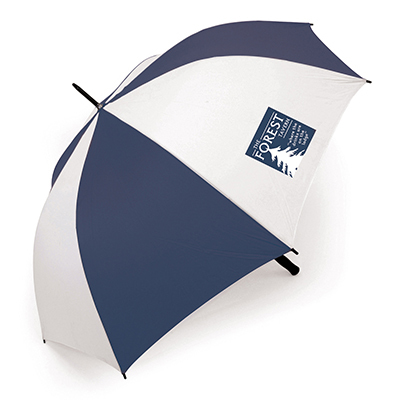 Available in Navy Blue and white, black and white. Product Size 1010 x 1500 mm dia.